This is a guest post courtesy of Kirsten, and how your ecommerce site could very well be leaking money like perforated balloon leaks air. 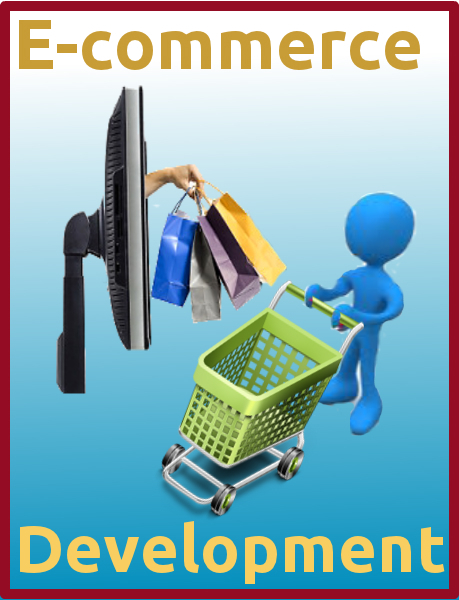 There is a tremendous amount of competition in the world of ecommerce today. So those doing business on the web must find ways to set themselves apart from the crowd, and impress customers with sites that not only sell great products, but look great too. Because the web is always changing, ecommerce sites must stay flexible, while constantly finding ways to refine and improve user experience. Unfortunately, many site operators simply don’t understand the elements that make websites effective as sales platforms. The differences between sites that sell and those that fail to inspire customer confidence are often quite subtle. But the effort it takes to transform a bad sales page into a great one is almost insignificant when compared to the profound benefits of doing so. In any case, the first step in crafting a great ecommerce site is learning the reasons so many others fail. Photos are the most important aspect of online sales platforms. Visitors take in information at a glance, focus on visual cues, and make immediate subconscious assessments based upon what they see. So websites need to emphasize their best aspects with thoughtfully composed and evocative high-def photos. 360-degree photography and descriptive photo spreads are great ways to give visitors a wealth of quickly digestible and compelling information. People expect sites to load quickly, and often take it as a sign of professional incompetence when they encounter ecommerce pages which make them wait. With so many options out there, visitors are quick to click away if pages take longer than 2-3 seconds to load. So it is important to streamline your website for optimal speed if you want to keep visitors coming back. Unlike traditional brick-and-mortar shops, which surround consumers in a dedicated market space, ecommerce sites require a minimal investment of attention from visitors. Often multitasking, and always aware of their surplus of options online, potential customers are inclined to put off buying until later. Site design plays an important role in motivating visitors to buy. The layout, style, and feel of a website can dictate how visitors respond to the products being sold. Links must be in convenient places, aesthetics must be pleasing, and the placement of information should contribute to a quality user experience that directs visitors efficiently through the sales page. Poor grammar, misspellings, and confused wording stand out to visitors as glaring indications of incompetence. So if you want to inspire confidence in your products (or services), choose your words carefully. If content isn’t something you are confident at preparing, hire a content writer, they will have strong experience writing for websites and can prepare concise and engaging content for your products and information pages. Because online shoppers don’t have the opportunity to hold, try on, or experience the products they are buying firsthand, they want to know they can return the items without cost or hassle. When ecommerce sites have questionable return policies, they lose countless sales. Make your return policies fair and clear for the customer to see. Success in ecommerce is largely dependent on site design. Of course, the quality of the products you sell is important too. But that quality simply cannot speak for itself online. Your website is your sales pitch. It is often the only way consumers can measure the value of your products and the professionalism of your business. If web elements seem shoddily constructed, visitors assume your products are too. So invest in your website, constantly refine it, and improve user-experience in every way possible. If you are unsure how to improve your website from the consumer’s point of view, it is worth investing in user testing to really identify the key areas your website is failing, and your Google Analytic tools are also invaluable. Great websites generate great sales, so it is worth your time and effort making yours the best it can be. Are you in the ecommerce business? Do you find your site seems to be doing well? Why or why not? Please share in the comments below. Kirsten Hendrich runs her own ecommerce jewellery business. She designs her own website and analyses it constantly to make sure it is up-to-date and user friendly.